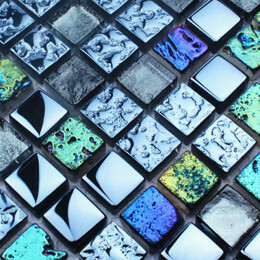 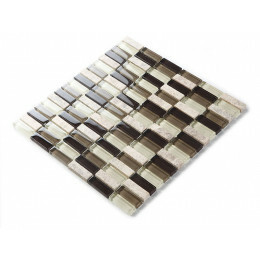 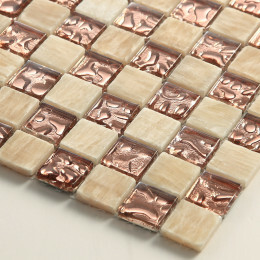 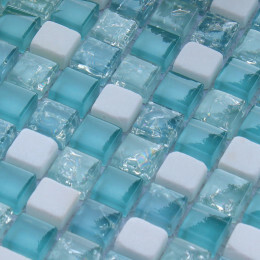 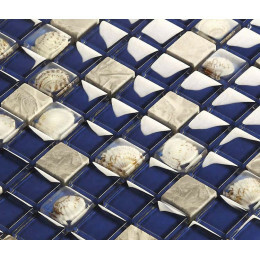 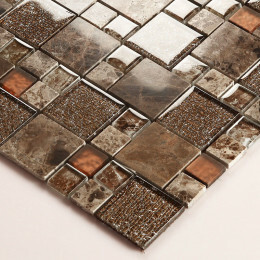 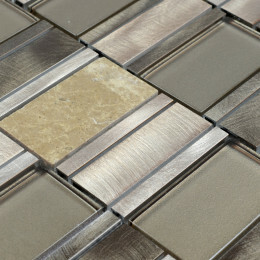 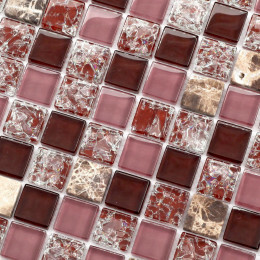 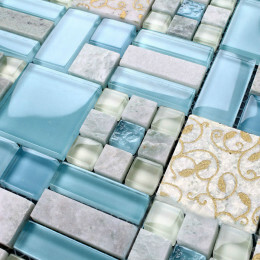 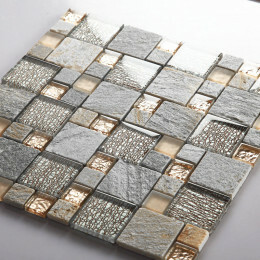 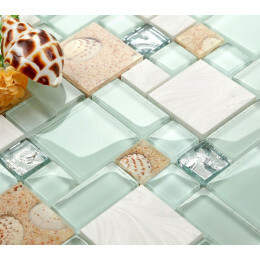 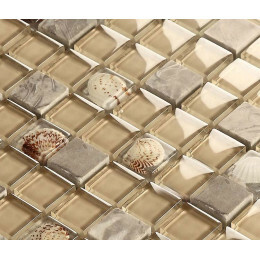 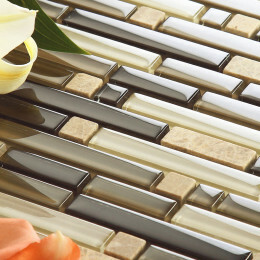 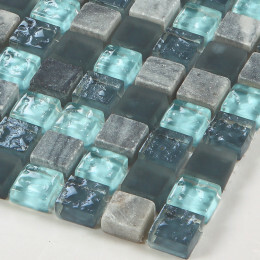 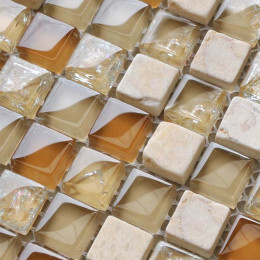 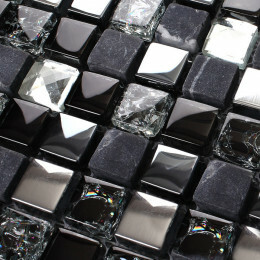 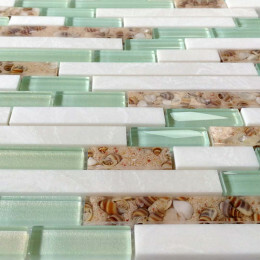 Glass and stone tile was designed with glittering crystal glass chips and stone. 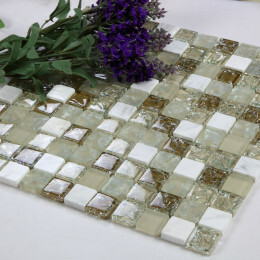 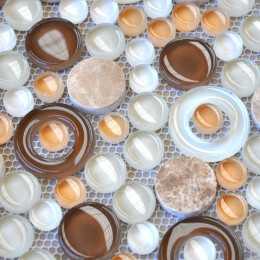 Generally, the stone chips are made of natural stone, artificial stone, natural marble, granite. 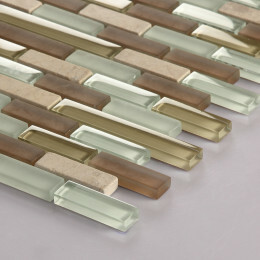 The high-temperatured glass chips are stable and durable. 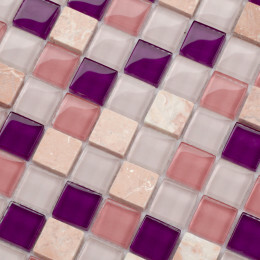 The colors will never fade away. 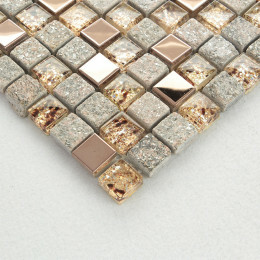 As for the stone chips, the color will not be always same which means the chips may have color variation. 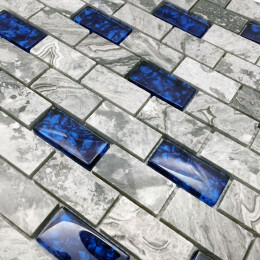 Some even have wave marks on the finish. 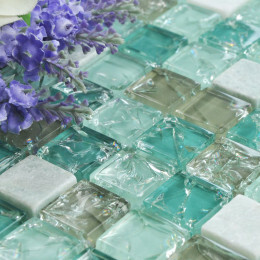 However, it is just showing the nature beauty.